ASK FOR SPECIFIC CAR AND TRUCK PARTS. WE HAVE MORE USED CAR PARTS! CHECK OUR INVENTORY. PICK UP ONLY. 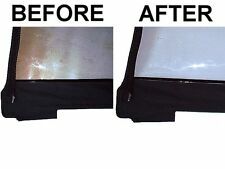 Fits any Z3 Z4 and Z8 hardtop. 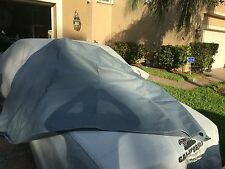 BMW Z8 cabrio 100% original OEM softtop/hood with zipper window. This top fits on all BMW Z8 cabrio's. Contents : Relay. Functions : Accessory Relay. To confirm that this part fits your vehicle, enter your vehicle's Year, Make, Model, Trim and Engine in theCompatibility Table. The engine types may include 1.8L 1796CC l4 GAS DOHC Naturally Aspirated, 1.9L 1895CC l4 GAS DOHC Naturally Aspirated, 2.0L 1990CC 121Cu. Best solution for storing your convertible hardtop! 2015 BMW Z4 sDrive28i 2.0L 1997CC 121Cu. 2014 BMW Z4 Design Pure Traction Convertible 2-Door 2.0L 1997CC 122Cu. 2014 BMW Z4 M Sport Convertible 2-Door 2.0L 1997CC 122Cu. 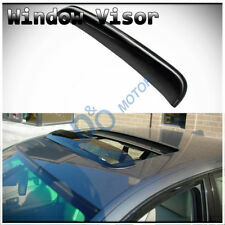 Fitment: This Roof Visor Can Only Fit The Sunroof/Moonroof Which Is Not Wider Than 36.8". Please Measure The Width Of The Sunroof/Moonroof On Your Vehicle First And Make Sure This Is The Correct Item Before Purchase! 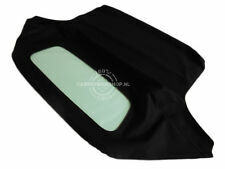 Item Offered: 1pc 38" (36.8" Between The Inner Edge) Mid Size Universal Fit Roof Visor Position: For Sunroof/Moonroof Material: Reinforced Acrylic Color: Dark Smoke Tint Installation: Direct Tape-On Design,Easy Peel-N-Stick Installation.No Cutting or Drilling Required. Installation Instruction Is Not Included. Warranty 6 month. NEW PENTOSIN POWER STEERING FLUID. PENTOSIN PRODUCT. Part # CHF11S POWER STEERING HYDRAULIC FLUID. SYNTETIC/HYDRAUILIC FLUID ! HIGHQUALITY STAND. Color: White. THE COVER IS A GIFT (FREE) AND ITIS ONE SIZE UNIVERSAL FOR ALL THE CARS. Easy Assembly Installation Instructions are Included! Convertible E64N 650i 2008-2010. Convertible E64 650i 2006-2007. Convertible E64 M6 2006-2010. Convertible E64 645Ci 2004-2005. Convertible E46 M3 2000-2006. Convertible E46 325Ci 2000-2006. Convertible E46 330Ci 2000-2006. Manufacturer Part Number: 20038. Type: Central Hydraulic System Oil Full Synthetic. TIRE CHAINS. TIMING BELT. Tire Chains And Accessories. Timing Parts/Kits-Valve Train. Rotating Electrical. Radiators And Cooling. 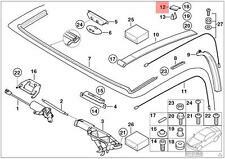 Part Number: 54347114081 / 54 34 7 114 081 / 7114081. BMW Z8 E85 2002 - 2008. ONLY GENUINE PARTS. A TTENTION !! 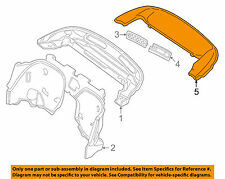 of your car and we will check if the part fits specifically your vehicle. Hard Top Storage Cart New - OE URO 900 790 02 00 / 900 790 02 00 URO / 9007900200 This Listing Sells 1 Part. OEM Numbers: 54347075904 / 54 34 7 075 904 / 7075904. Important Window is not included! Give us your trust and we'll help you to repair or update your car! Porsche· Boxster· 2013 ·. Porsche· Boxster· 2012 ·. Porsche· Boxster· 2011 ·. Porsche· Boxster· 2010 ·. Porsche· Boxster· 2009 ·. Porsche· Boxster· 2008 ·. Porsche· Boxster· 2007 ·. Porsche· Boxster· 2006 ·. Part No: 54347114081. Pictures - 54347114081. Z4 E85 (01/2002 — 08/2008). We do not provide installation instructions online. Contatc Us. Bmw M3 M5 M6 Sunroof Motor Gear. 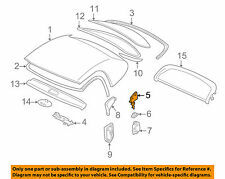 BMW Sunroof Motor Gear Repair Parts. BMW 3 Series 5 Series 7 Series Sunroof Motor Gear.